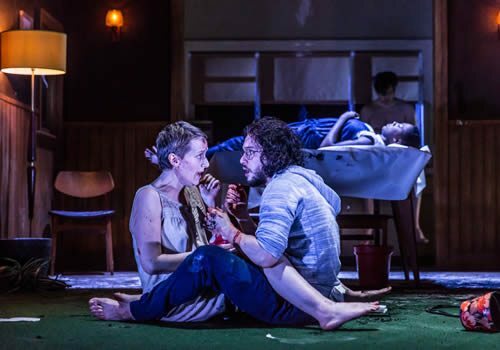 Jamie Lloyd directs Game of Thrones star Kit Harington in an updated production of Doctor Faustus, at the Duke of York’s Theatre. Christopher Marlowe’s 400 year-old play has been entirely modernised by Lloyd, who has recently turned his hand to a plethora of classic texts, including The Homecoming by Harold Pinter and The Maids, by Jean Genet. Doctor Faustus is the 1592 tragedy which follows Faustus as he makes a pact with the devil to swap his soul for the ability to practice black magic. Soon, he becomes wrapped up in world of fame and fortune, but Faustus must pay the price for his insatiable greed. Lloyd brings the production into the present day, catapulting the story into a celebrity-obsessed society of voracity and instant gratification. Harington shot to fame playing Jon Snow in the hit HBO series Game of Thrones, with further film and television credits including Testament of Youth, Pompeii and How to Train Your Dragon 2. His stage credits include being part of the original West End casts for the National Theatre’s War Horse and the Royal Court’s Posh, with Doctor Faustus being his first return to the stage since War Horse. 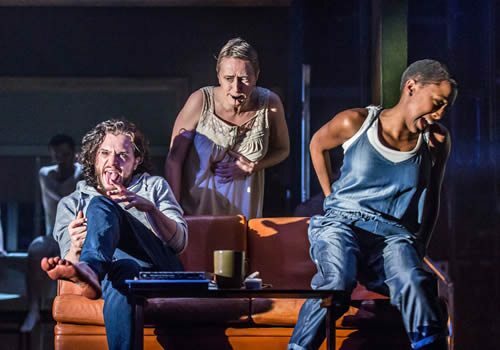 He stars alongside Jenna Russell as Mephistopheles, who recently starred in Grey Gardens at Southwark Playhouse. Doctor Faustus features two new acts written by Colin Teevan, with design by Soutra Gilmour, lighting by Jon Clark and music and sound design by Ben and Max Ringham. 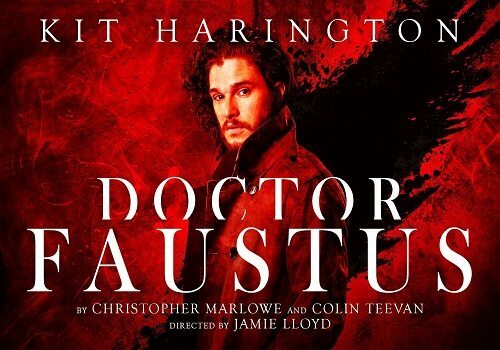 With the huge success of Lloyd’s recent star-studded productions, Doctor Faustus has impressed the general public and is set to play at the Duke of York's until June 4th 2016. 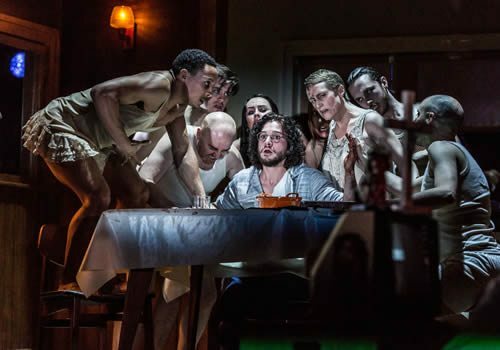 Doctor Faustus contains distressing scenes of an adult and sexual nature, and is not recommended for children. Click here for the Duke of York's Theatre seating chart and seat price guide.